In 2015, there was a black sheep in the smartphone market, DOOGEE X5, which has been called the world’s cheapest 5-inch smartphone. 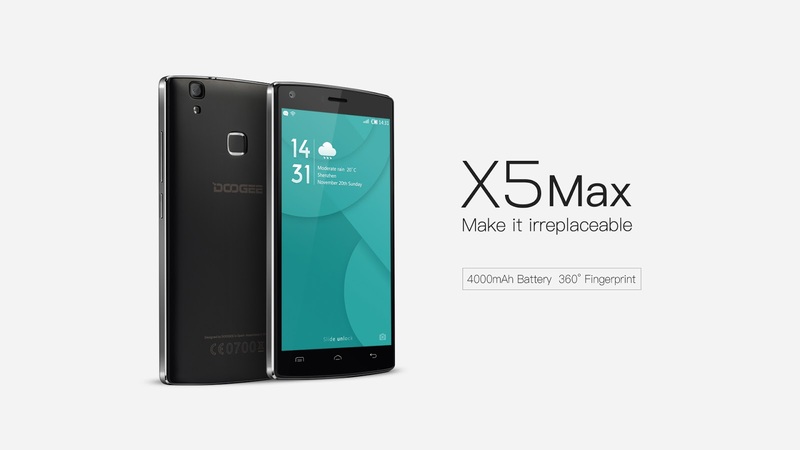 Now, the new DOOGEE X5max is around the corner. It will be upgraded from the inner configuration to the external design including 6 really groundbreaking improvements, while keeping a high performance-price ratio. 2colors: black & white. 4000mAh battery: achieves 2.5 days in standby under normal circumstances. Rises capacity by 67% compared with X5. Fast fingerprint sensor with 360°identification. Up to 5 fingerprints can be saved, with 7 convenient functions. Metal coating out frame instead of the plastics. Front and rear camera are both 8.0 MP. The rear camera has 1.34um matched with f1.8 aperture. It will reveal the beauty. The front camera has f/2.0 aperture, independent pixel, 1.4um. 36 beauty profiles to your selfie. With multi-shutter, you just have to smile. Dual ID system: You can logged into two Facebook, Twitter,etc accounts at the same time. Separate your work from your private life. Customized UI based on the latest Android 6.0. The whole user experience, speed and security is enhanced. X5max will be launched on May 20th. The price hasn’t been announced yet, but it will be almost the same as X5.